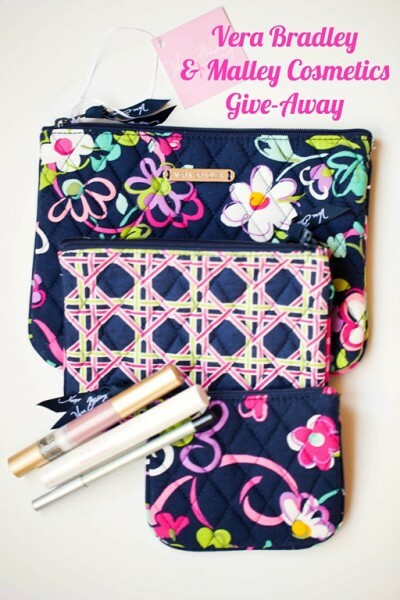 I’m celebrating with a few of my favorite things that Pink Martinis and Pearls finally has a Facebook page and I’m doing it with the Vera Bradley Cosmetic Trio bags and my favorite trio of Mally cosmetics. After four years of blogging I think it was time to have a Facebook page, don’t you? If you’ve been reading my blog for a long time you know I love VB for the cheerful colors and the functionality and that many pieces have shown up in my give-aways. The Vera Bradley Cosmetic Trio can be used for anything. The large of the zippered and lined bags can hold a Kindle, or a paperback book, The medium is perfect for cosmetics to slip into a weekend bag or handbag and the smallest of the three is great for those extra gift cards, lipstick, gum, tissues, hand sanitizer, all the little things that find their way into the bottom of the abyss. I’m also sharing with a lucky winner my absolute favorite mascara, eye lining pencil and fabulous lip gloss by Mally. You will love all of them. I have many Mally products and these three are my favorites. Thank you to The Charming Shoppe for graciously donating the VB trio. What a great combo Vera Bradley and Mally. Love both. What a fabulous giveaway!!! Love, love, love it all. Great giveaway! I love the VB pattern! Wow, cool giveaway. I’ve never heard of that make-up brand but it sounds great! 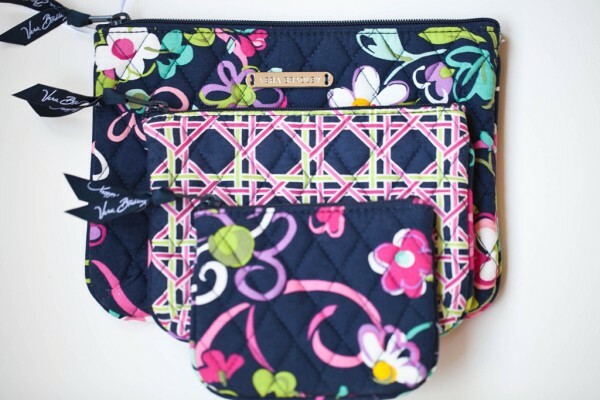 And LOVE Vera Bradley stuff…so fun! Tweeted, subscribed to newsletter, subscribed via email. Already joined your site and I don’t do Facebook, but congrats on your new FB page! Welcome to FB !!! Now I have two places to check in with (or is that on) you! Congrats on getting a Facebook page! Definitely liked it! Heading over to fb right now so I can hit that like button! 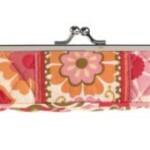 Love Vera Bradley! This is one of my favorite patterns and I actually just got a tablet hipster in this color. love the navy print. Liked you on Facebook! Such a great giveaway! I will share this with my blog readers! Congrats on the fb page!!! I love your blog! Yay! 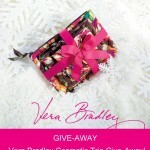 I love Vera and girly blogs! Awesome giveaway! I’ve never heard of Mally beauty products before. They look nice! How nice of you to give this away! Awesome!!! Would love to win!! What beautiful things you’re giving away! 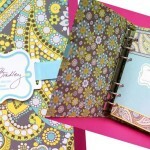 I’ve never tried Mally products before but I love Vera Bradley! What an awesome giveaway! I didn’t realize the biggest cosmetic bag could hold a Kindle. I love your blog name! 🙂 Thanks for doing this giveaway! Love Vera and Mally and your blog!!,! You’re ahead of me, although that’s not saying much! Hope all is well with you and your family. Great giveaway. Hope all is well in sunny CA! fun giveaway! who doesn’t love adorable make up bags and new make up. * I’m adding you to my blog list. Love, Love, Love VB and Ribbons is one of my favorites! Awesome giveaway! I love Vera Bradley! So awesome! I hope I win! I love that you used the bunny cookies as your cover photo! Those are my favorite of your many creations! Love these and would love to win! Please put my name in the hat!! 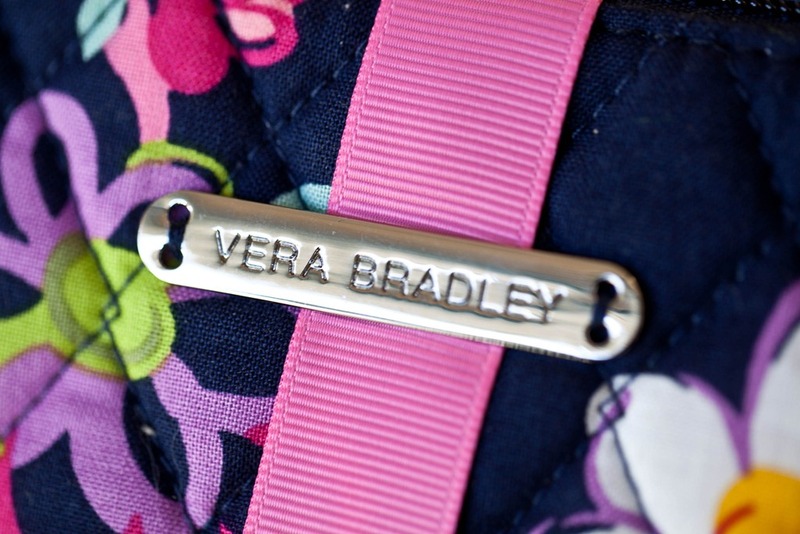 Love Vera, and I loooooove the Ribbons print!! Fantastic giveaway! Thanks for the chance at winning! Visiting from Oh My Vera. So happy to find another Vera fan. Love it! Congrats on the FB page! Welcome to FB! Love the ribbons print! I’ve not used Mally before, but it looks very nice, and I love VB! 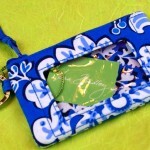 Love the other uses for Vera Bradley pouches! What a cute kindle case it would make! Yay, thanks, Marilyn! I love VB & your blog! I could use some fancy makeup; I’ve never heard of Mally before! Great giveaway – thanks ! I am a huge VB fan and particularily this pretty Ribbons pattern. These pouches are so handy for a multitude of different things. I love mally mascara it is the best!!! such pretty vera bradley patterns! What a beautiful pattern. Thank you so much for the lovely giveaway. What a great giveaway. Ribbons is my favorite pattern! Thank you for the giveaway. Ribbons is my favorite pattern. Found your blog from OhMyVera link. Excited to read your blog and about the giveaway. I have never heard of Mally Cosmetics, so I will definitely look up and find in my area to try. The pattern is pretty! I love the Midnight Blues pattern!